If you've been following me on Twitter, perhaps you know I said that February will officially be the start of my diet. But I really don't know what happened to me, I pigged out these past few days and indulged myself on sweets. Oh no, where is self-control? 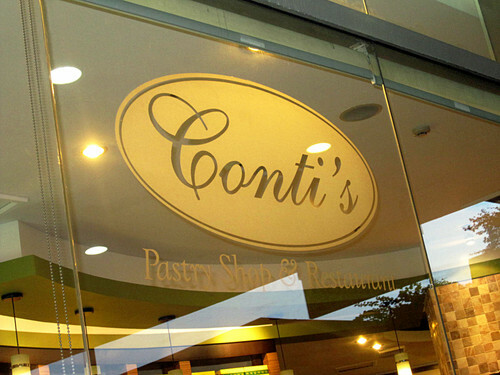 Conti's Pastry Shop & Restaurant is known for its palatable dishes and yummy desserts! My favorite from their culinary treasures would be their rib eye steak. Swear you guys have to try it!!! 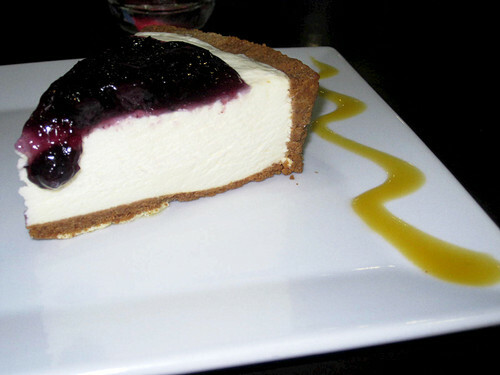 :) But since I wasn't in the mood to take heavy meals that day, I decided to delight myself with their yummy blueberry cheesecake. 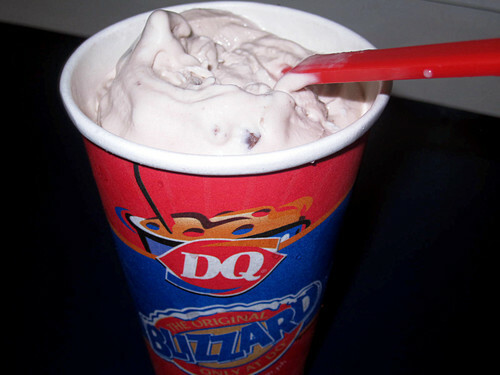 Dairy Queen's Kitkat Blizzard for my sweet tooth! 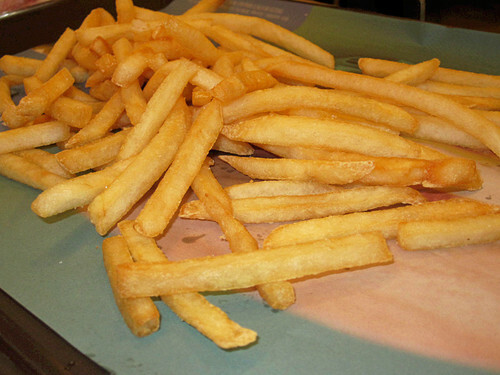 I always get this weird "midnight cravings" for McDonald's french fries. Irritating Irresistible. Isaw at the University of the Philippines!!! 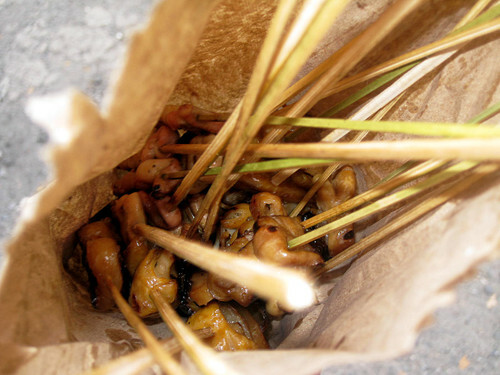 :) Bizarre truth: I rarely eat something like this, and only Mang Larry (of UP Isaw) can make me eat street food. And no, this isn't food, but I'm just so excited to show you my new BB case!! *_* It's Hello Kitty, and in case you do not know, I've been collecting Hello Kitty stuff since my childhood days. My friends can attest to that! Million thanks to my best friend, Gia Ortega, for giving me this. We're counting days 'til her birthday and I can't wait for her celebration! Something to look forward to this weekend. Just for the record: you do NOT need to diet, girl. AND OMG I NEED THAT BB CASE IN MY LIFE!!! :( Can you please, please, PLEASE ask your friend where she got it for me??? omygosh! all those cakes and yogurt made me crave for sweets! gaahhh! 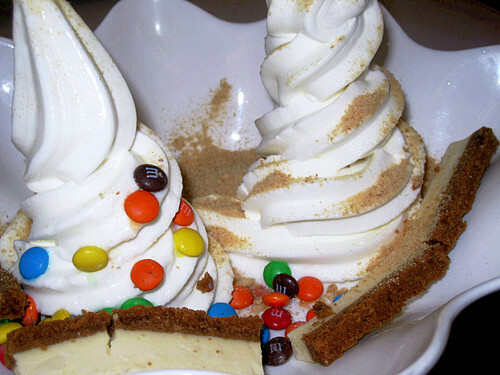 your post made me die for sweets! ahaha! 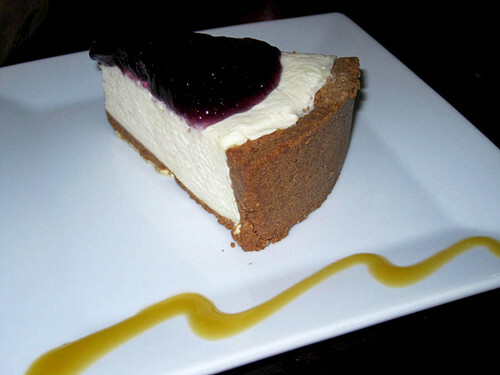 all of those were my favorites, expecially conti's cakes..
@Angel, waaa haha my clothes were just deceiving! I need to prepare myself for something that's about to happen this Feb/March. 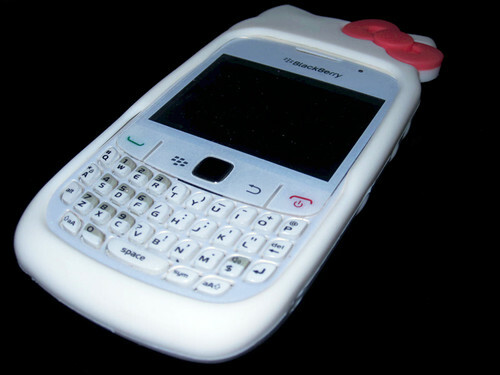 :-S I'll tweet you about the BB case!!! ♥♥ Yay! @Hazel, oh nooo sorry I didn't mean to make you crave. Hihi :p Thank you for dropping by! @Katherine, hahaha yes I do pero super rare lang AND only at UP! I don't know why! Hahaha! you tempteddd meee w this post! shame on you babe! hahaha. sarap lang tignan lahat. argh kakalurkyng diet talaga. miss ya! @Eden, hahaha awwww sorry super, didn't mean it babe! Haha hirap mag-control, golly bananas!! :| Miss you more, babe!